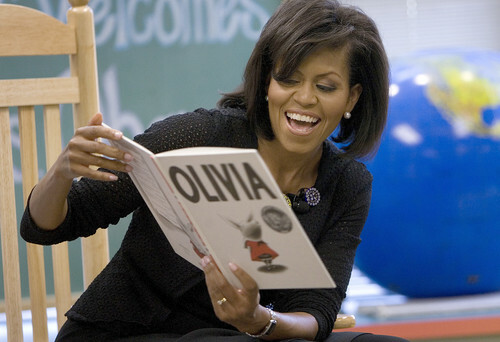 The best thing parents can do to encourage children to love books and reading is to read aloud to them. And don’t stop reading aloud to them once they have learned to read for themselves! Read to your child every day—even if only for a few minutes. It is your time together! Reading should be fun. You don’t have to finish a story if your child loses interest. Let your child choose the book even if it means reading the same book over and over. Invite your child to “read” to you from a familiar book that he has memorized from having heard it so often read to him. Stop and ask about the illustrations or what your child thinks will happen next. The answers may amaze you. Talk about a book after you have finished reading—discussing what you and your child thought about characters and ideas in the book helps develop understanding. Read from a variety of children’s books, including fairy tales, poetry, and nursery rhymes. Follow your child’s interests in choosing the books. There are many great books on non-fiction subjects such as the ocean or dogs. ← There are so many benefits to reading with children!